I’ve had our fair share of fresh air this weekend. The weather was perfect. 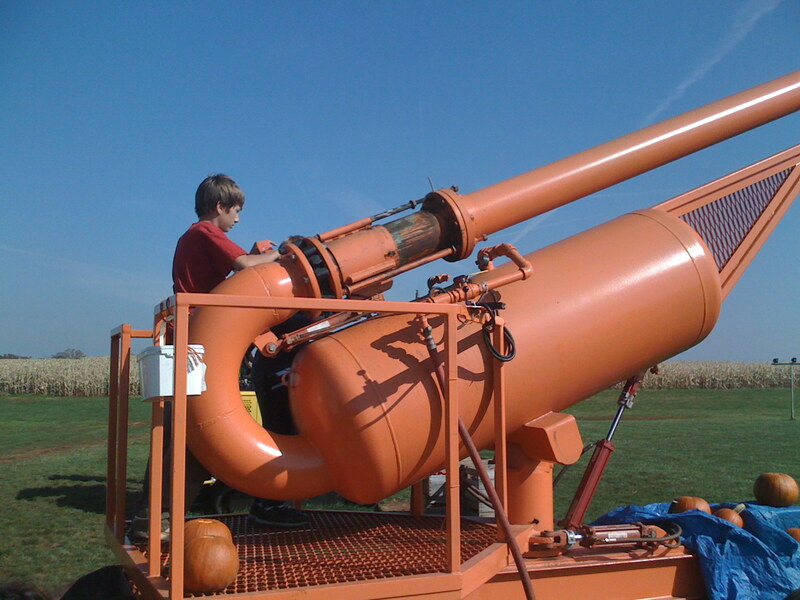 Max’s birthday party was at a farm with a corn maze and canons – really huge cannons – to shoot pumpkins and apples. That was Saturday. Sunday was a serious geocaching day. 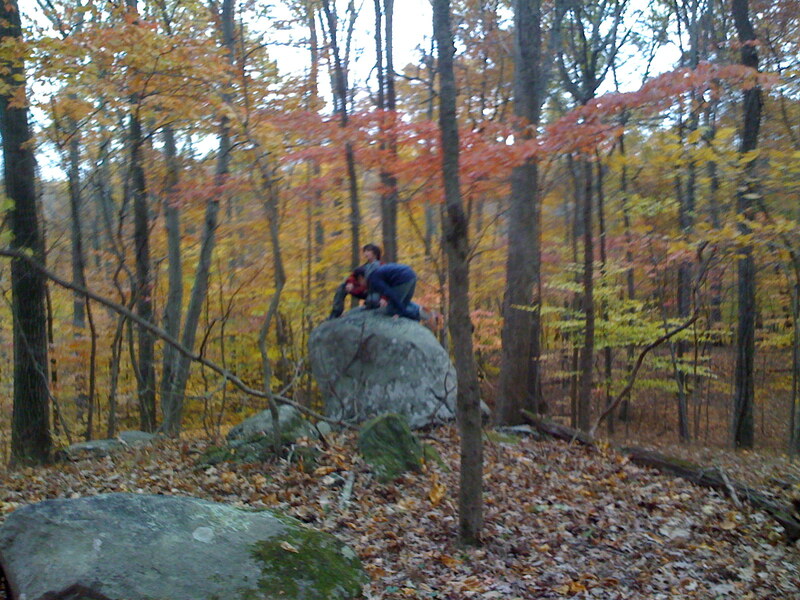 We did 3 caches and it was hard work. Well, 2 were hard. 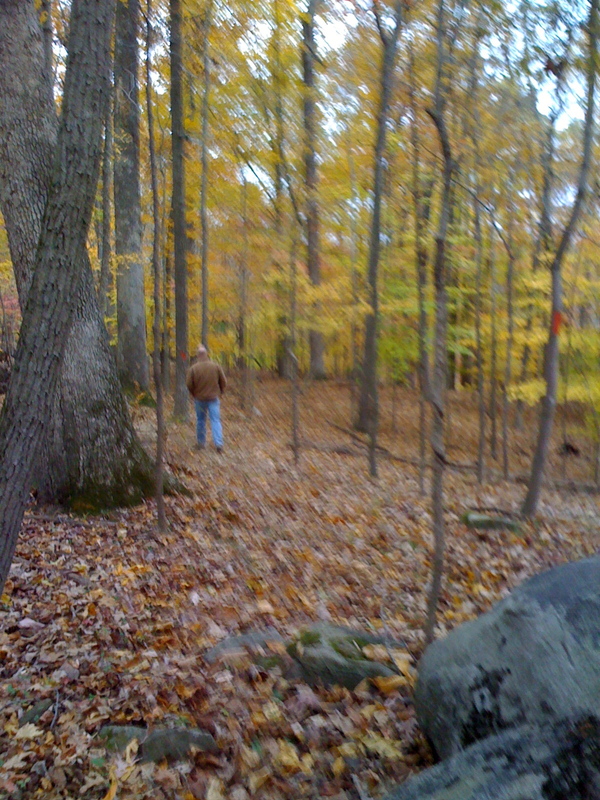 I knew that I had a phone and reception and we could call the park rangers. But that’d be pretty much the end of our geocaching career, don’t you think? I mean, would YOU go hiking in the woods with parents who would let you get lost in the woods at night. Freezing. Did I mention the ‘in the woods’ part? Clearly, it worked out just fine. And I’m compelled to share my favorite photos. 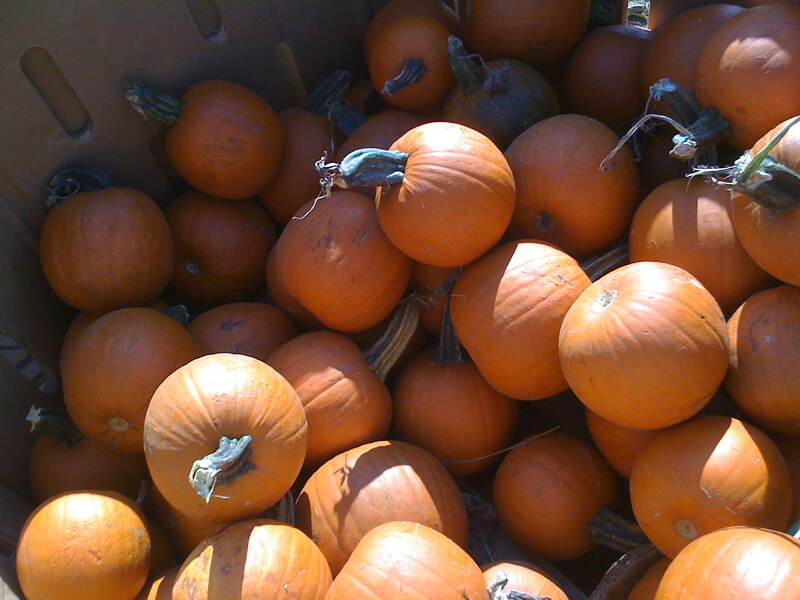 The pumpkins don’t know their impending fate. They’ll be flying out of this cannon shortly. 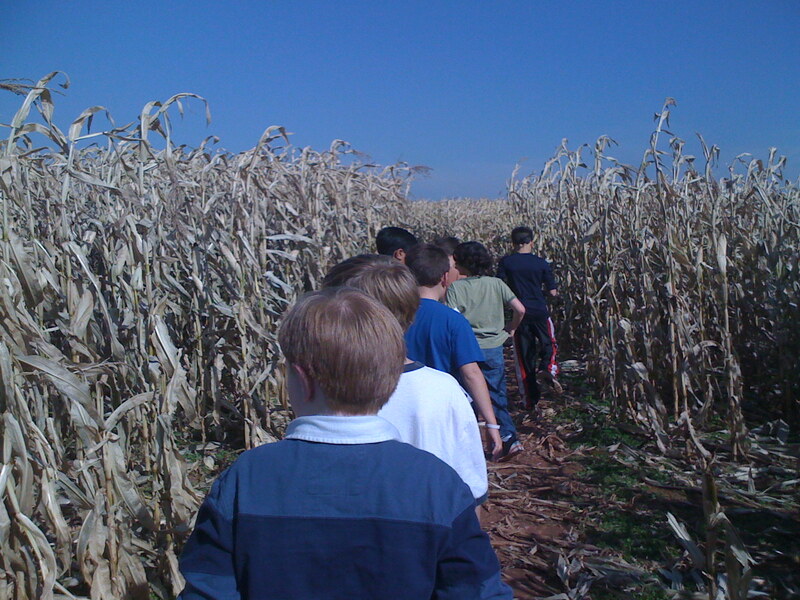 The maze was 2.5 miles long; there were others, but we were hot and hungry and ready for some popcorn and cold water. Isn’t this pretty? 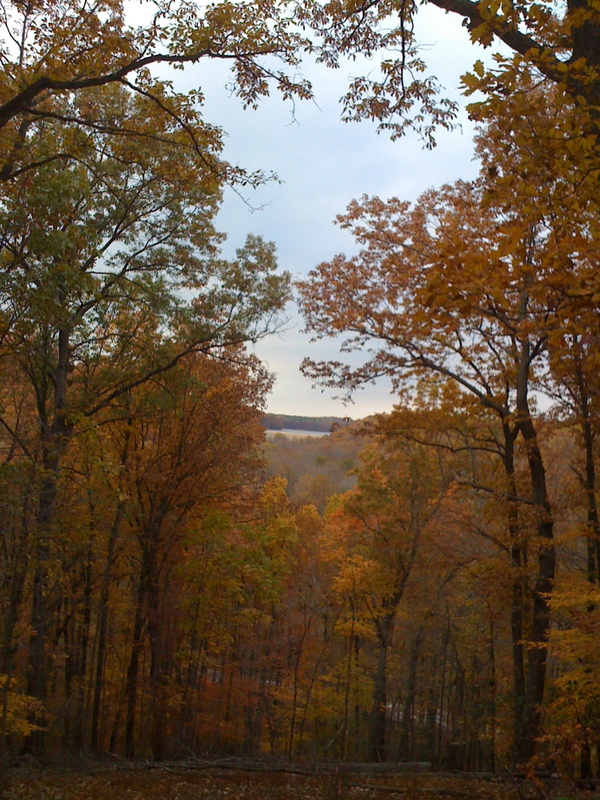 Just a nice view on our way in Patapsco Park today. Shocking how many geocaches there are in that park! We went to the McKeldin area this time. 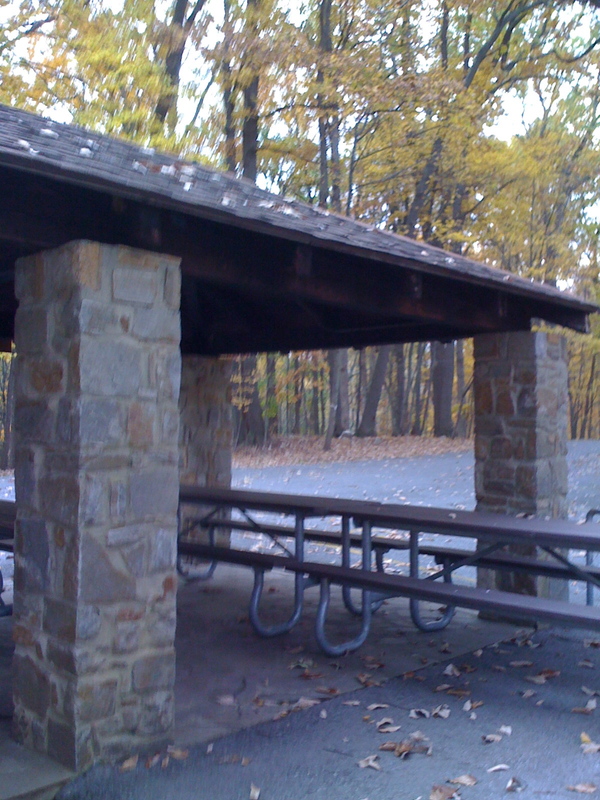 I love the stone pavilions and buildings in the state parks. And this guy? Well, he was strolling through the woods and was a little creepy. I was a teensy bit nervous. Fine, I watch too much CSI and Criminal Minds. But regardless, I took the picture so he could be identified if something happened to us. Bummer that you can’t even see they guy. Good thing he was just a hiker. < My favorite night of the year. nice pics. glad to hear you did not get lost in the woods. hard to hang onto parental cred when you do stuff like that. Looks like a great fun day. Indian Summer here, it was 75 degrees yesterday, and I spent it outdoors, in a park in St. Louis. Love taking advantage of these last warm days. That guy at the end WAS a murderer; he was just trying to act nonchalant. As much as I love to hike, I won’t do it alone: I’ll either be murdered or come across someone that has been. I, too, watch too much CSI. We also spent the whole weekend outside. We did a hayride on Saturday and Sunday we went to Larriland farm to pick the last of the season’s apples. The air is SO clear and clean out there. It was a gorgeous weekend. Next time you think you’re lost, just call me. I’ll come with wine and food and flashlights!